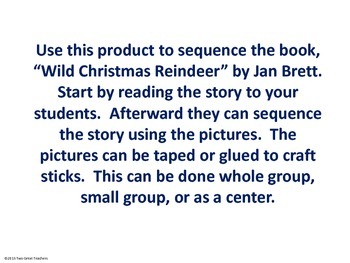 Use this product to sequence the book, “Wild Christmas Reindeer” by Jan Brett. 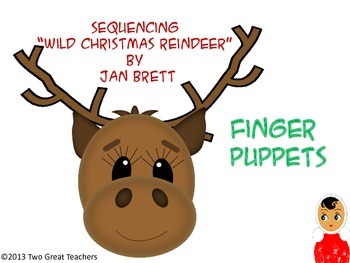 Start by reading the story to your students. 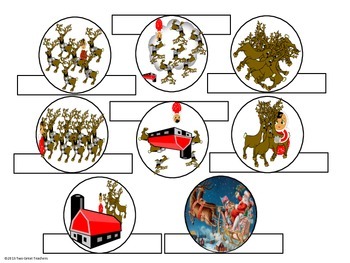 Afterward they can sequence the story using the pictures. The pictures can be taped or glued to craft sticks. This can be done whole group, small group, or as a center.